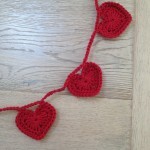 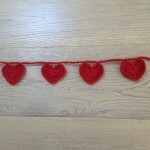 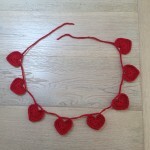 My friends James and Sarah got married yesterday and so I decided to make a little heart garland for them. 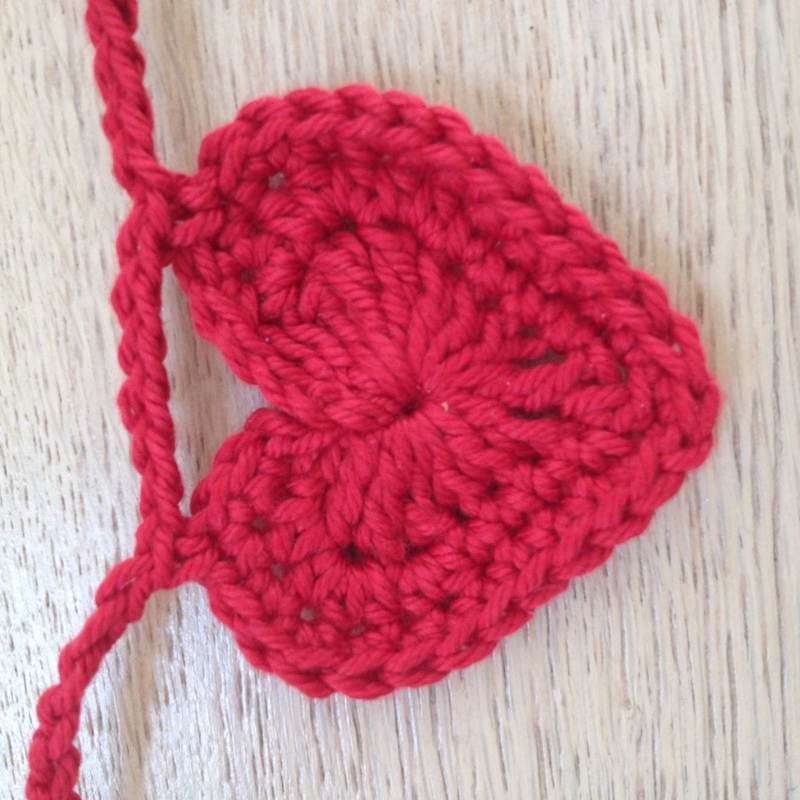 I made it really quickly – just took me less than a morning! 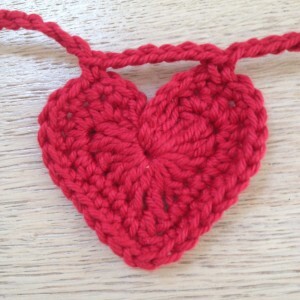 I found the pattern here and used some red cotton dk by Rowan.